Ovela aesthetic clinic provides Botulinum Toxin & Dermal Filler treatment that will improve the look of moderate to severe frown lines, soften facial creases and wrinkles. Our aesthetic clinic provides premium glowing facial to exfoliates and nourishes the skin, promoting a clear, younger, and well-hydrated skin complexion. Skin Whitening in our aesthetic clinic uses high concentration of antioxidants to reduce production of melanin pigment. Our aesthetic clinic offers electrocautery that is a minimal invasive technique to remove unwanted tissue, such as milia, hyperplasia keratosis, skin tags, etc. Our aesthetic clinic provides Crystal Calming Facial, which is the more advanced type of premium glowing facial, with the additional of applied aesthetic technology along the procedure. Keloid treatment in our aesthetic clinic uses Intralesion Injection Techniques to relieve abnormal proliferation of scar tissue. Our aesthetic clinic provides chemical peels as a skin care treatment aimed to stimulate skin regeneration through natural process of skin exfoliation. Ovela aesthetic clinic offers Intraceutical skin treatment that is the ultimate weapon against anti-aging problem. HGH (Human Growth Hormone) is a hormone that is naturally present in the human body when you are young, but tends to disappear as we age. Ovela aesthetic clinic offers microdermabrasion, a skin care treatment that helps creating skin glow and a younger look of the skin through the process of exfoliation. The “Male Motor” Testosterone hormone is the main hormone produced and secreted by the testes. Dermapen™ is a revolutionary micro-needling device which aims to tighten, lift and rejuvenate skin. Dermaroller in our aesthetic clinic is an ideal treatment for skin problems such as acne scars, aged skin, stretch marks, etc. Represents a basis of the complimentary treatment concept to preventive healthcare. How it works ?.. Ovela aesthetic clinic provides detoxification platinum, an anti-aging treatment works as antioxidant that will detoxificate free radical inside human body. "The Female Monitors", Estrogen Hormone is more to the female as..
Our aesthetic clinic offers lipodissolve, a non-surgical fat loss treatment, using lipodissolve cocktails that is injected to the fatty region. Ovela aesthetic clinic uses a painless, non-surgical procedure, fine thread contour is the latest instant facelift technique. Influenza Vaccine, Typhoid Vaccine, Hepatitis A and B Vaccine, and Cervical Cancer Vaccine. Ovela aesthetic clinic uses technology of radio frequency to increase cell metabolism, enhances fat-breaks, and reduces the fat area circumferences. 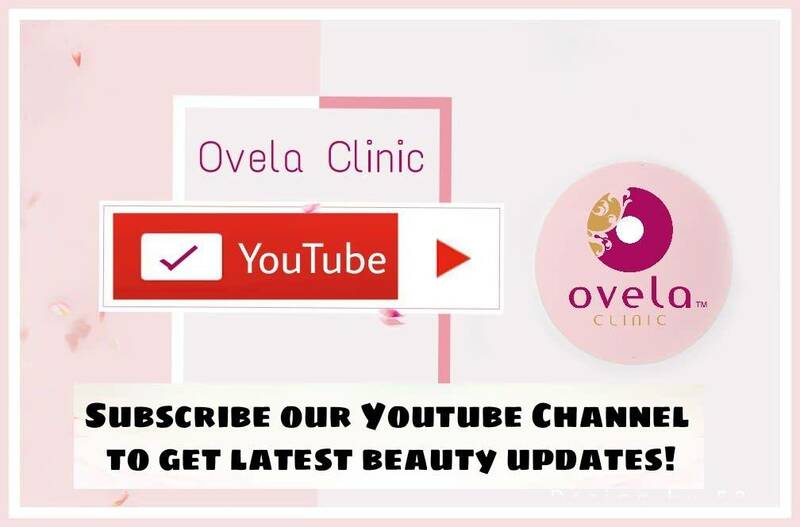 Ovela aesthetic clinic provides Platelet Rich Plasma treatment that use patient's own blood as the serum, aiming to stimulate collagen production of the skin. Ovela Clinic provides HS (Home Service) facility for injections or blood sampling to wherever the patient is without them having to come to the clinic. Our aesthetic clinic uses IPL (Intense Pulsed Light) as the latest, safest and fastest light-based technology available for hair removal. Ovela aesthetic clinic provides Radio Frequency Face Lift Up, which is an energy technology for non-surgical tightening of loose or sagging skin. Body peeling in Ovela aesthetic clinic uses medical regimens, enhancing much more amazing results. Our Aesthetic Clinic provide Skin Rejuvenation which helps to remove fine lines and wrinkles on face. Our Aesthetic Clinic provides Dark Spot Removal to treat brown patches on face, such as cheeks. Ovela Aesthetic Clinic offers Eye Treatment that can be safely done around the eye area. If you have done your diet, exercises and plenty efforts in taking care of your body but still see very minimal results on the localized fats, Now we have a GOOD NEWS for you ! Gentle Peel Laser is very effective to treat anti aging signs by improving your skin tone and texture. Thesera L is a latest new technology of non-needle thread lift, by Double Nano Transfer Method, proven to effectively improve skin textures.